Credit cards are gaining popularity very fast. Each girl wants to possess at least one. Diamonds are not girl’s best friend anymore; it is the tiny credit card in her purse. However, with the girl’s desire to spend money, sometimes they overspend and sometimes they exceed the limit of the credit card. Unfortunately, this is why the interest is increased rapidly. One of the eight top reasons why you overspend is spending the money for food. When having a dinner with someone you want to have a nice evening and usually the bill in the restaurant is huge. Drinking several bottles of wine for sure will add some extra money to your bill. It is proven, that people will spend more money if they are using their credit card instead of a debit card. Having a nice evening with your girlfriend or wife might cost you over $500. Usually, this is the credit card limit. If you bought several products with the card few days ago then this $500 will be added to the money that you own to the bank. Music addiction is another reason for overspending. If you happen to be in a place where you can find all your favorite bands playing, the tickets’ cost will greatly impact your credit card limit. Buying several T-shirts with the bands logo will also affect your credit card balance. Buying PlayStation games is also one modern way to spend some money. PlayStation games are not that expensive but when you become PlayStation addicted, you want to buy as many PlayStation games as possible. Each game will cost you between $30 and $50. However, if you buy 10 games, then you will have to pay about $500. Keep in mind that there are even more expensive games which will further impact your balance. Being fashionable is not only about wearing modern clothes. You must always wear the latest clothes. This is the fantasy of every girl. 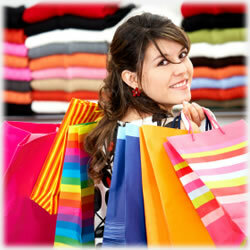 Each credit card owned by a girl has suffered from being used too much in different clothes shops. Actually, for girls this is number one reason why they overspend. It is important to stress that it is number one for girls because only for men is this reason in the fourth position. There are some other things which make men to overspend. 3D TVs are the latest thing invented by companies to entertain people. However, as you may guess, they are expensive. They have huge screens and also special glasses which go along with the TV. They are needed to make you see the image in 3D. These glasses are not that expensive, unlike the TV. This new toy available on the market is really progressing to the top of the charts. However, it has a long way to go until it reaches the first position. Overspending is generally related to travel. When you go visit another country, often you get so excited that you have to more frugal. You easily lose connection with reality. Your credit card will reach its limit very fast. You are so intoxicated with the idea that you may never visit this country again, so you want to make the best of the trip. Cars are one of the biggest friends of all men and women. Sometimes, when you feel like you want to rent a car and you want to spend some extra cash on it, you may opt for a luxury car rental. This will help you boost your self-esteem and will make you feel great. However, the money that you will spend from your credit card is going to be a lot. The top 1 reason why you overspend is to rent a place for a day or two. There are some pretty expensive places located in good neighborhoods. If you feel like you need to go somewhere else and spend several nights there, you can easily make the arrangements using your credit card. There are some places available for rent which will cost you more than $500 per night. Credit card limits are usually about $500 so make sure you don’t go over the limit because your account may be temporarily suspended. Credit cards are really useful, especially when you want to have some fun when we are out of cash. However, you should always remember that you have to repay the money someday. Credit cards are one of the ways to make a person responsible and well educated about money debts.